Our highly experienced team of civil litigation lawyers handle general domestic litigation in addition to cross border litigation, bankruptcy and estate litigation. The range of cases that we handle is wide, ranging from contractual disputes, residency disputes to defamation. action on behalf of an employment agency in respect of failure to pay commissions agreed upon and action against a law firm for failing to pay fees to a senior lawyer who retired owing to ill-health. The team, led by Rob Rastorp represent clients in court in the Greater Toronto Area, Hamilton, Sudbury and North Bay. 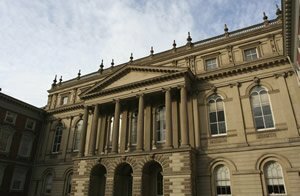 Rogerson Law Group provides civil litigation services in the entire Greater Toronto Area including Toronto, Scarborough, Mississauga, Vaughan, Brampton, Richmond Hill, Etobicoke, and Barrie and surrounding areas with offices located in Downtown Toronto and Barrie. Contractors: when are they entitled to reasonable notice or pay in lieu? Are Students Consumers Entitled to Protection?